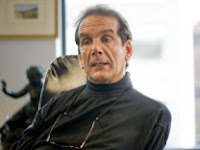 As a diligent but very prudent observer of U.S. politics, that is, the politics of a country that I don’t live in, I have always taken the liberty of maintaining these two basic convictions: a) Ron Paul is “a principled, somewhat wacky, highly engaging eccentric,” as Charles Krauthammer puts it, who may be (terribly) wrong on a couple or so issues—though rather important, to say the least—but he is dead right on many other things; b) the above mentioned Charles Krauthammer is a very bright Pulitzer Prize-winning syndicated columnist, political commentator, and physician who may sometimes be a bit too “straightforward,” so to speak, but who is almost always right, as this piece in today’s Washington Post shows ad abundantiam. after a quarter-century in the wilderness, he’s within reach of putting his cherished cause on the map. Libertarianism will have gone from the fringes — those hopeless, pathetic third-party runs — to a position of prominence in a major party. Believe me, it’s a must-read.